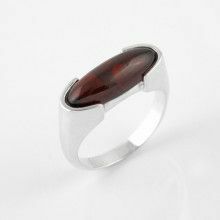 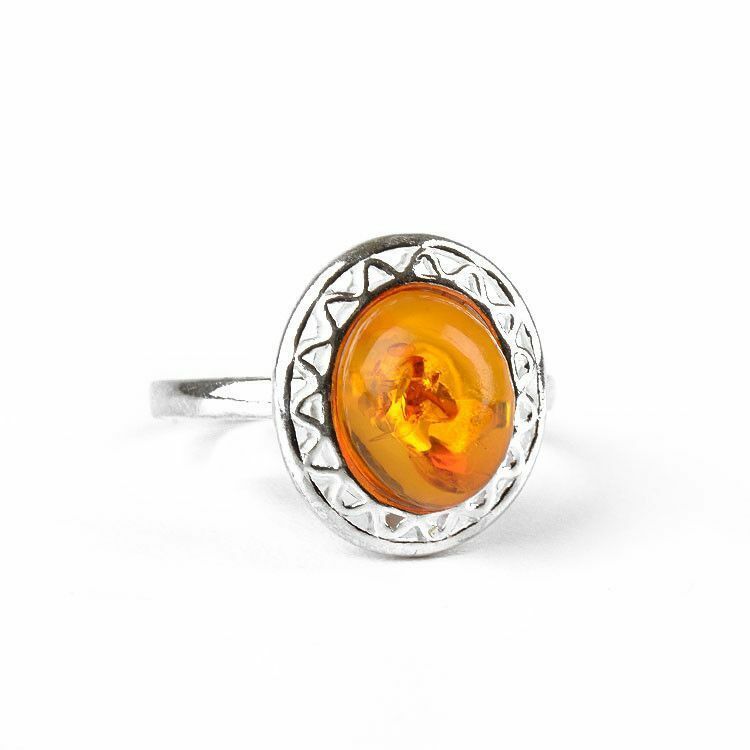 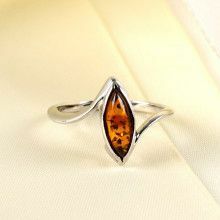 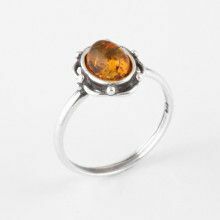 This wonderful amber and silver ring was made with a genuine Russian amber stone that is approximately 3/8" x 5/16" in size and set in sterling silver. 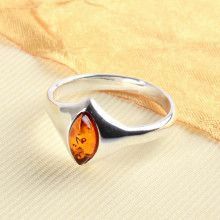 The silver is stylized in a pattern all the way around the oval gem. 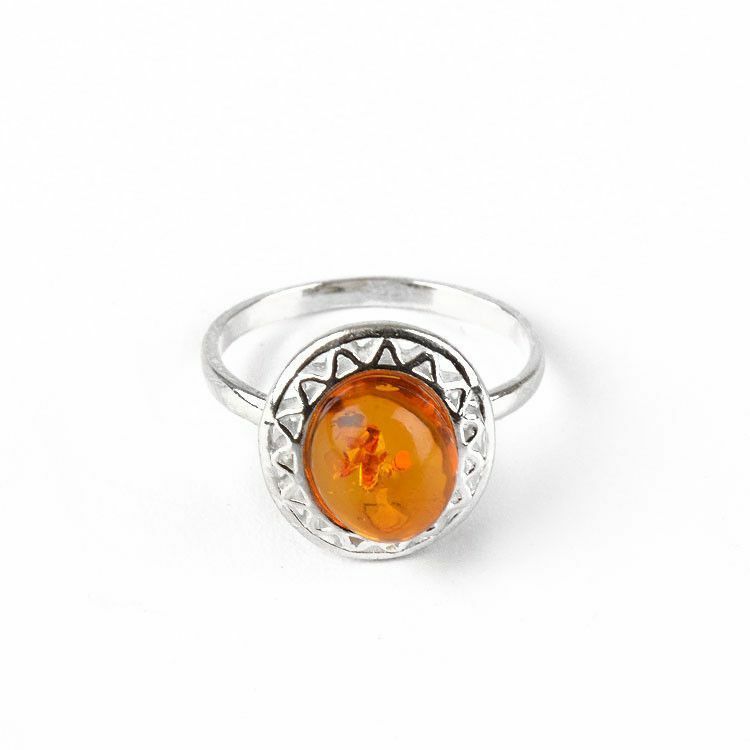 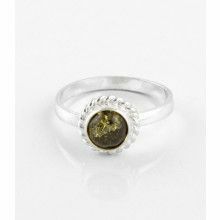 This cute ring could be worn everyday and also looks great with other jewelry. 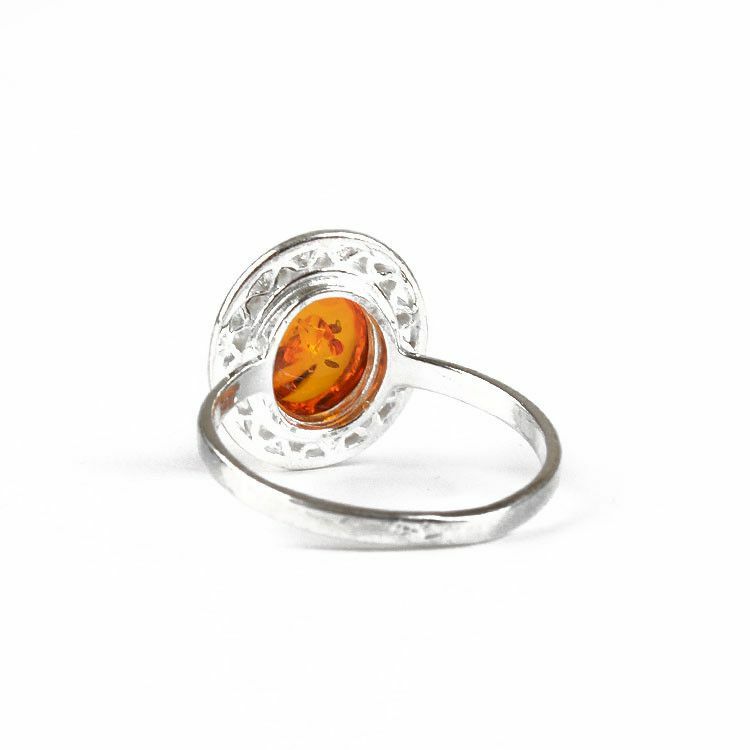 Stone is about 3/8" x 5/16"
Face is about 5/8" x 1/2"